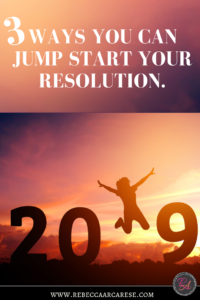 Whatever your big resolution is each year…..does it seem harder and more discouraging? Do you ever feel like the time from Halloween to New Years goes by faster than we can plan? The rush of the holidays, activities, parties, trips, and we just move into January. In the rush, have you ever felt like giving up on your goals? Sometimes it feels easier to just put it off. I will eat better in January. I will exercise again after New Years. How Will We Jump Start A Resolution? Grab a friend or two. We will encourage, equip, and hold each other to the fire. I have mine. For me it is exercise. There is never enough time in the day. I sit at the computer, I sit behind the wheel of a car driving everyone else to their destinations. Everyone else will meet their goals. What about mine? 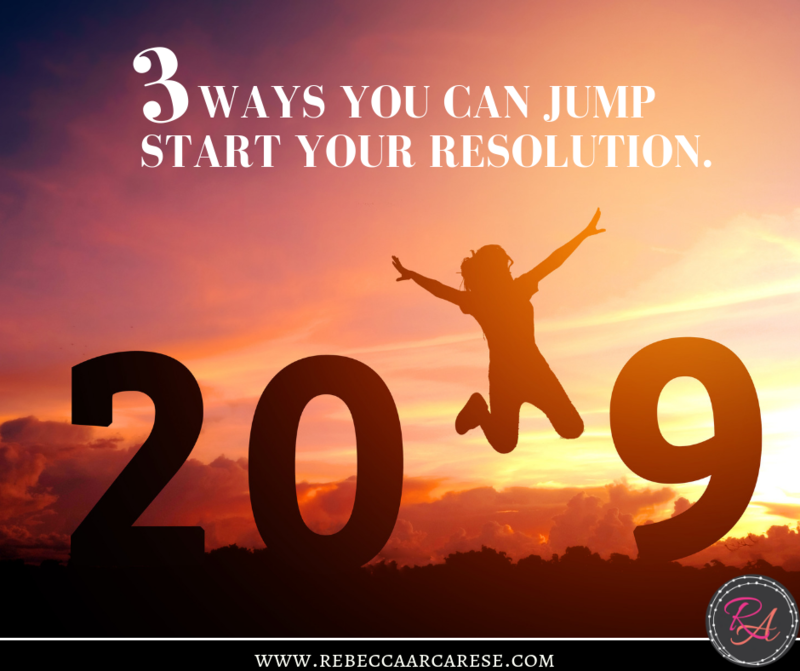 Here are 3 ways we are going to jump start that resolution. Taking care of yourself is not the secondary goal. It will help combat holiday depression, overspending, anxiety…..just focus on ONE thing? What will it be? Finances? Exercise? Eating better? Self care? Pick your one thing. I have many goals. I often find myself as an after thought in my planning. For me, exercise is key. I booked and paid for a 5K in January. I can not wait until January to get in shape or I will not finish the race. Literally. So I have picked mine – exercise. I would love to hear your best tips to fit it in. Best way to love running when you hate every moment. Best exercise you love to do everyday? Share them on Facebook and Instagram! I will keep my race journey up for you too! Grab your window marker! Yes I am totally a nut about these things. My daughter now does it too. Write your goals on your bathroom mirror, picture frames, bedroom mirror. EVERYWHERE! I want you to see what matters to YOU each and every day. And when you do not feel like doing it…it will remind you! Small steps are what make our goals a reality. Small decisions each day to make the choices that help us to be healthier in body, mind, and soul! Grab a friend. Accountability is key. My friend texts me, calls me, and will hound me if I do not go “wog” with her. (Won is the stage we are in – half walking, half jogging – embrace what you can do!) We are not meant to do life on our own. If it is your spouse, great! Use it as quality time together. Creative date days or nights to help you both meet a goal! Why Should I Jump Start My Resolution? So let’s do this ladies. With anxiety, depression, and loneliness at an all time high, there is no reason to leave yet another thing until tomorrow – or next year. Need a friend? Connect with us on Facebook! We will have a Community group to encourage no matter what your “thing”. If your spending is out of control- we will encourage you to stick to your budget. January will be a “no-nonsense” money month here as I talk about Radical Finances – embracing a debt free lifestyle. Let us start the work now. I know the calendars are full. I know there are events, plays, never-ending demands to our time. Pick one thing. Do one thing each day. Last night I was “wogging” at 8:30pm because that is all I had left in me to do for the day. Yes my friend went with me. We have a central location. We do not FEEL like doing it. We do not FEEL like driving one more place. We made the decision to do one thing each day. One thing to move us in our ONE thing. I slept better with 3 miles to run out the frustrations of the day. So let’s embrace our crazy holiday season and turn the tables on resolutions. We do not need to do it all. One area of your life could use a little concentrated focus. There is so much opinionated hate on social media today. Why not turn the tables? Let us join in the encouragement party. Make a difference in each other and help a friend. Post often, share your struggles, share ideas, share love. Embrace your crazy. You can do it!